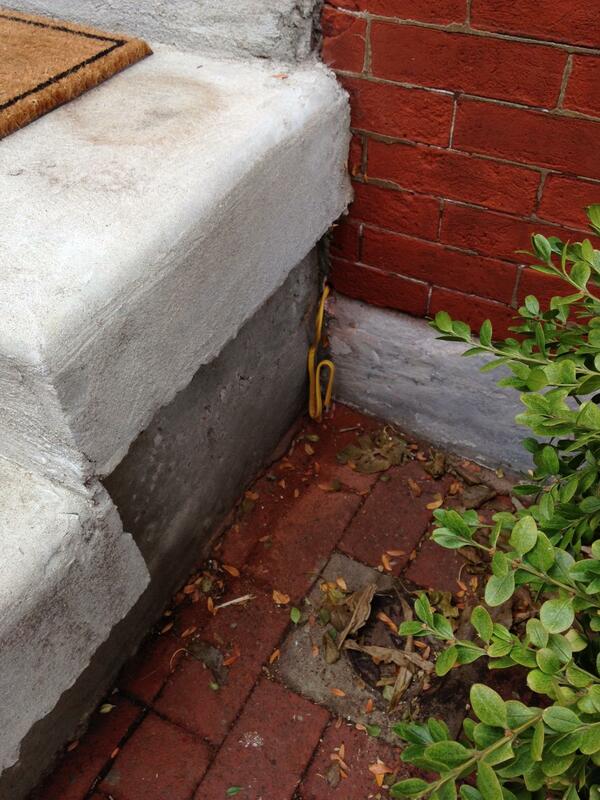 When we painted the laundry side of the basement we had put wire through the wall for new exterior outlets. 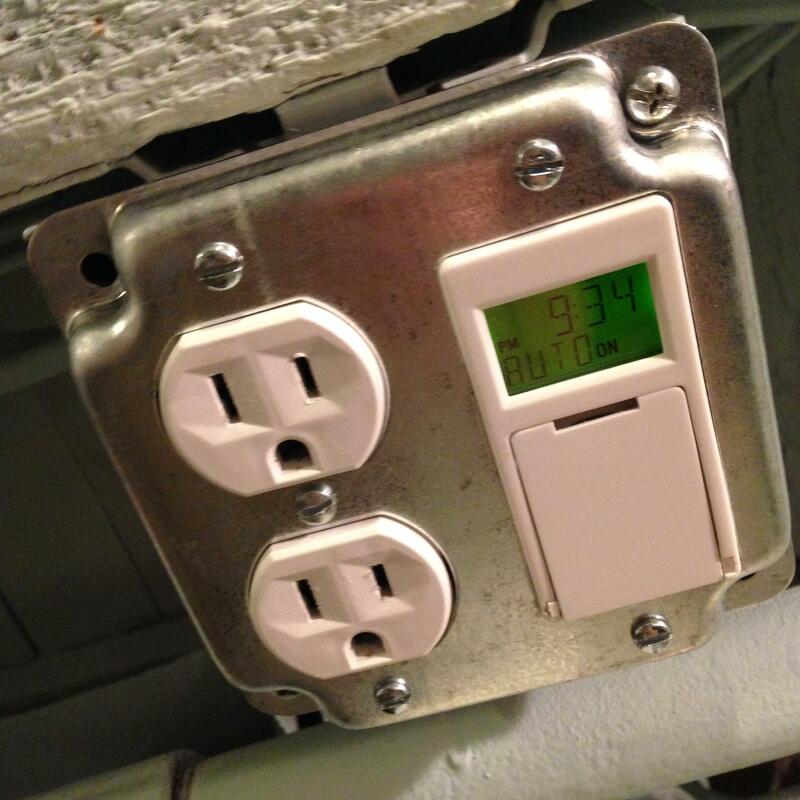 Of course we never found time to finish the outlets but at least the wires got painted with the rest of the basement. Well now that it’s December we have a reason to finish them… So we can put up Christmas Lights! 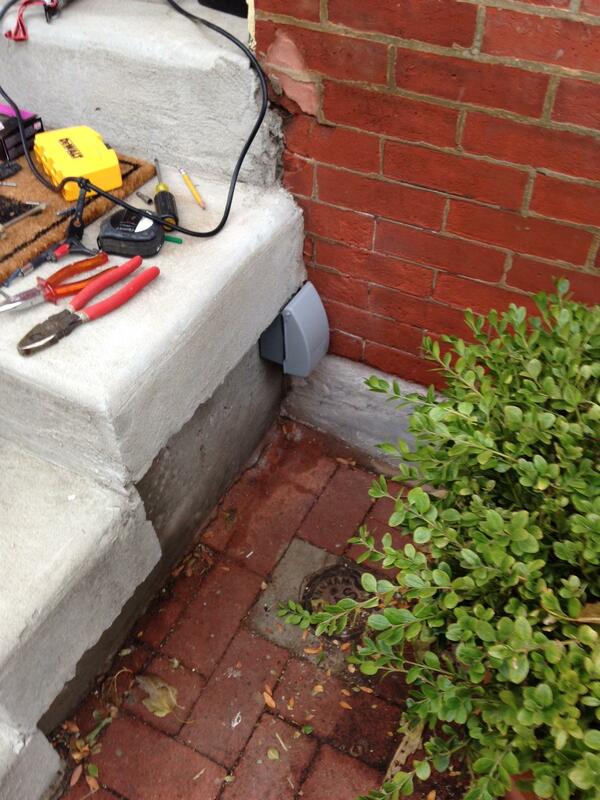 We installed outlets on both sides of our entry stoop and kept them low so the will be hidden behind our plants. On the inside, they are controlled by a new timer switch, so they automatically turn on at dusk. Now time to decorate. 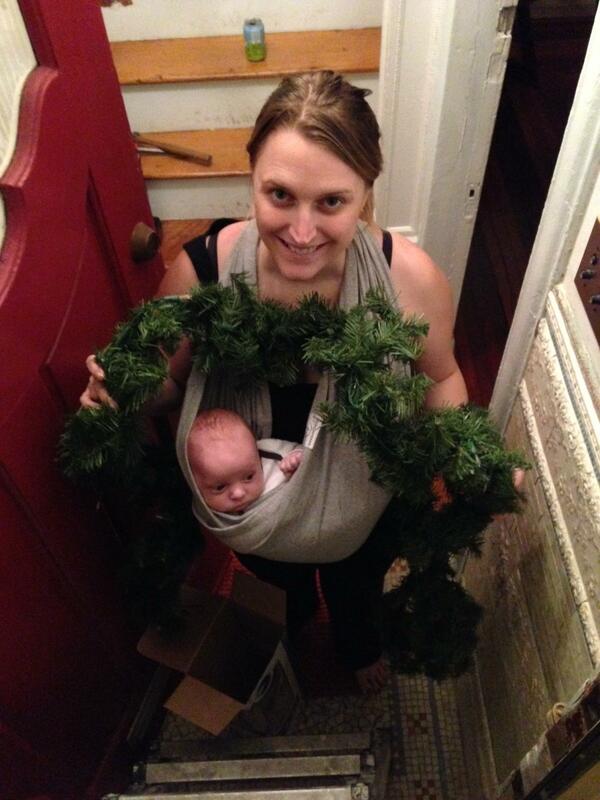 Kelly and Miles helped me hang the garland around the door. 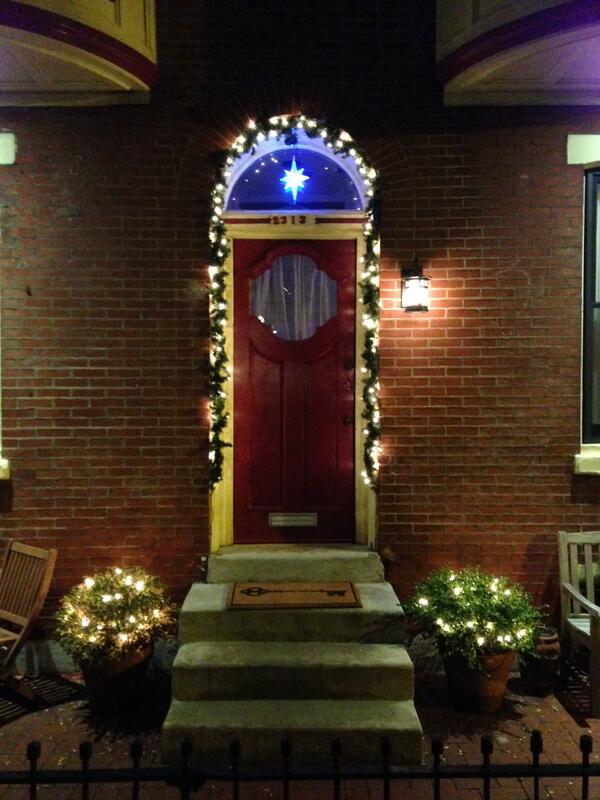 We also hung a star at the top and put lights in our boxwoods.